Youngsters love adventure, especially when their parents share in it. What’s the word psychologists have come up with? ‘Quality time’. What this really means is parents and kids doing something together, and everyone having lots of fun doing it. 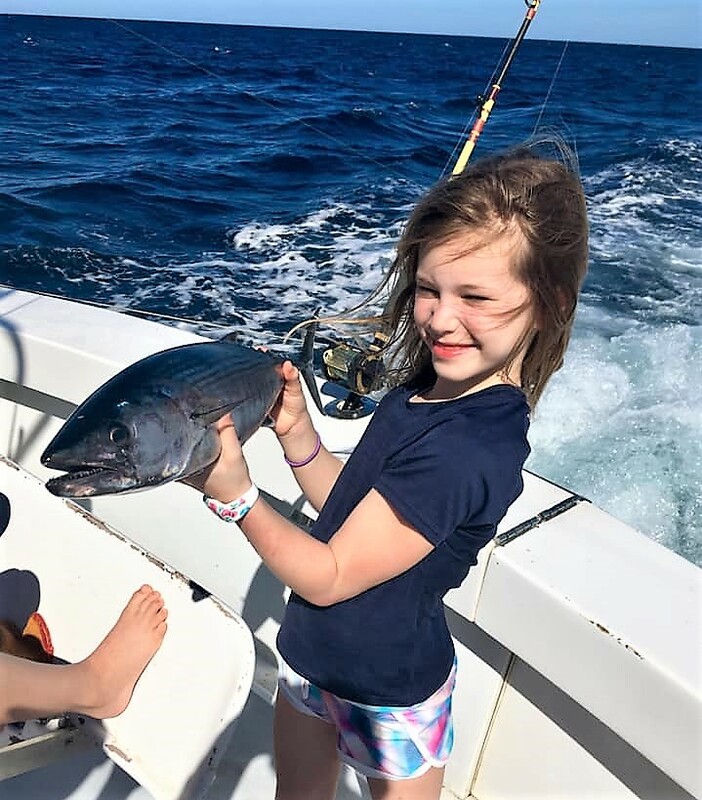 So if you want some very real ‘quality time’ with the kids of pretty well every age, take them fishing in Costa Rica. 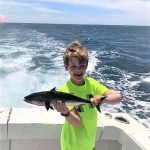 Just look at the photos below. 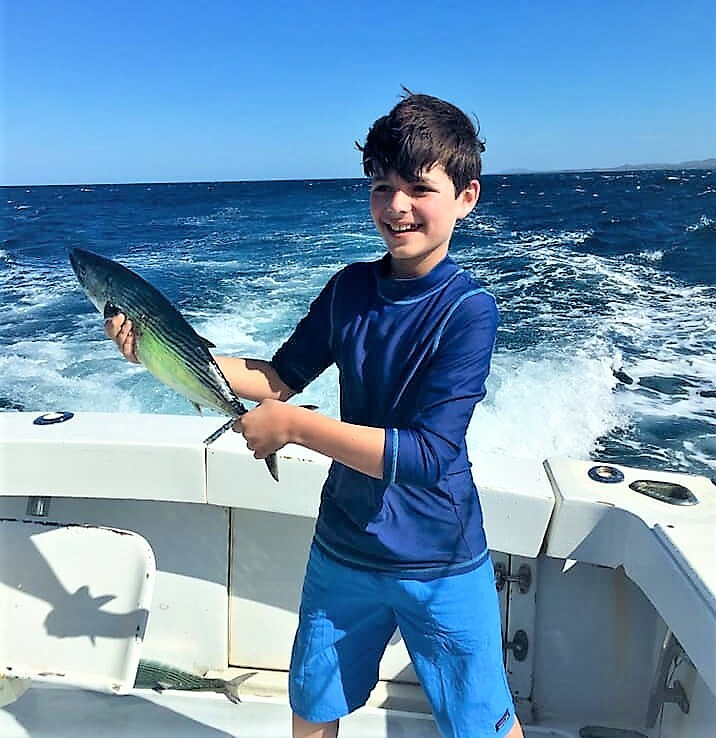 All three smiling young siblings got these fish and more on a recent full-day charter with Captain Manuel Leal on the 36ft Capullo out of the North Pacific resort of Tamarindo. 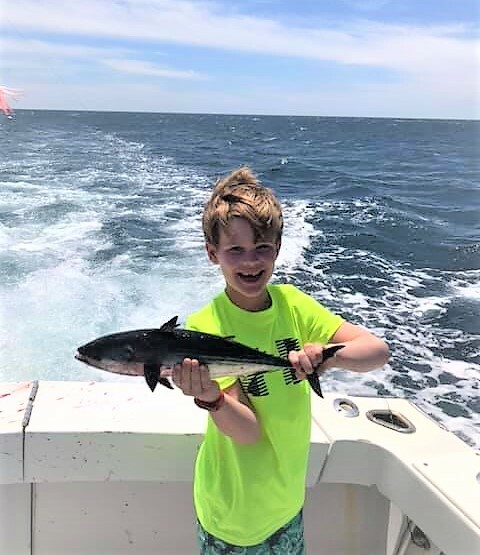 What can be more exciting for a ‘fathers and sons’ outing – or for that matter, for a ‘mothers and daughters’ adventure – than a day fishing together? You don’t have to look any further than the photo below for the answer. 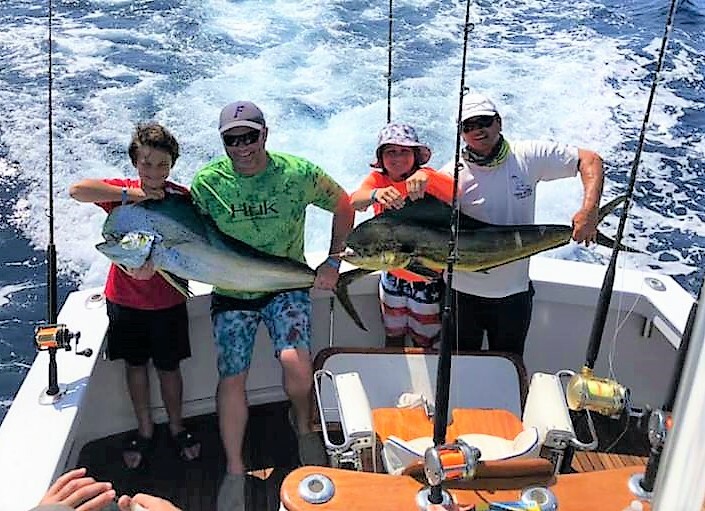 These two dads and their sons fishing with Captain Greg Giampapa on the 38ft Tres Amigos out of Los Sueños Marina on Costa Rica’s Central Pacific coast released nine sailfish, and caught four dorado. 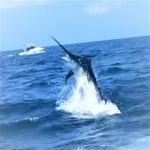 Contact us now if you want to take your youngster on a Costa Rica fishing adventure. 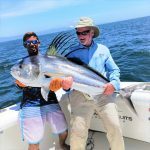 We know the kids-friendly hotels, and even better, kids-friendly charter charter captains in practically every Costa Rica sport fishing destination who enjoy taking youngsters on their boats, and showing them the time of their lives. 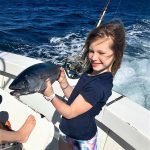 The smile on your kids’ faces when holding up a fish will be priceless.